Today’s Rowing WOD is a chance to test your 5k pace for this Saturday in a pressure situation. This should be a sub 12 minute workout, so scale the movements and loads accordingly to keep the intensity high. 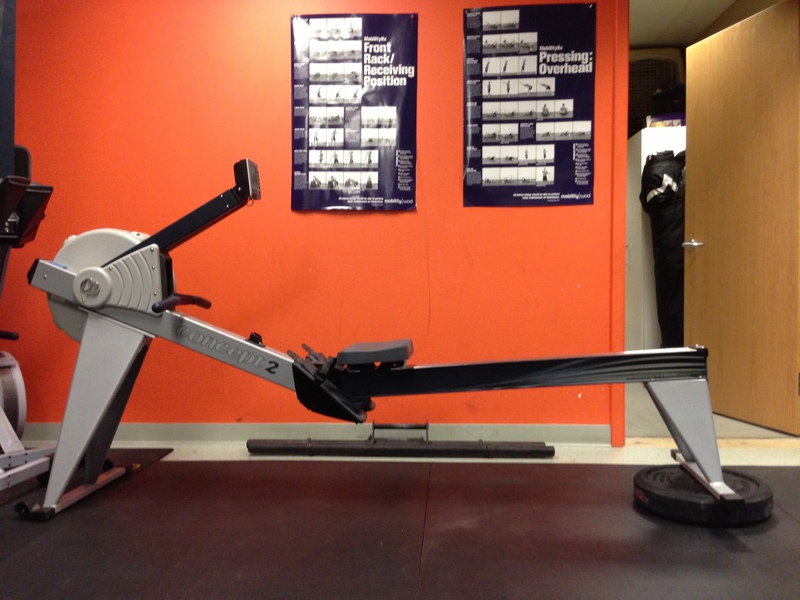 The row will feel much heavier because you’re having to lift your body weight every stroke. Be ready for this by feeling the weight come on to your feet and staying connected as you initiate the drive. Hips and Hands should travel at the same rate in the first half of the drive. A good goal would be to hold the 5k split you plan to shoot for this weekend. Be smooth and try to go unbroken on the KB Swings. For the HSPU catch your breath and make each rep count. Post your time and split for each piece to comments. This entry was posted in Fitness, Rowing, Strength and tagged endurance sports, exercise, functional movements, new sport, recruitment patterns, rowing, sports, Strength, training by Renegade Rowing. Bookmark the permalink.